The film is full about determination, positivity and hopes. The determination and wit by which one calls for help and survives in an isolated flat with nothing to eat or drink or any basic necessity. Infact the reason of trap could happen to anyone in life. The small little details around which this whole accidental trap happened is subtly conveyed in the dialogues. At the onset of the film Shaurya hesitatingly chats with Noori, keeps meeting her and proposes her. All this happens fast. Still all is well understood by audience. Thus editing is good. Shaurya shows extreme commitment in marrying Noorie. For which he finalises a flat so quickly. 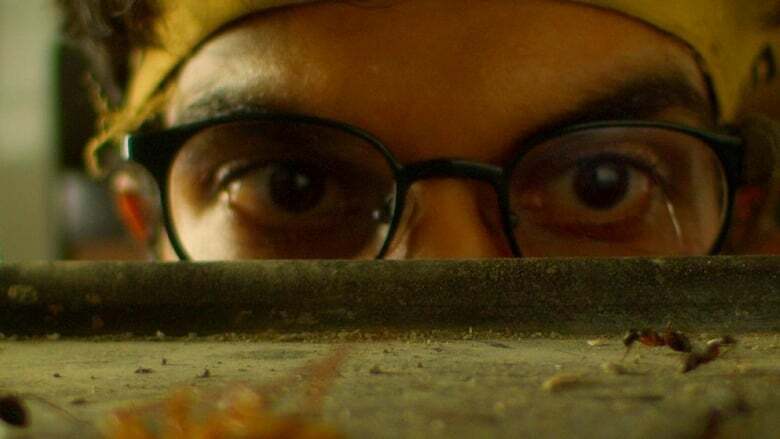 On being trapped in the flat Shaurya goes through various ways to survive, is so realistic that we as audience also become a part to his survival ways. The best part was imagining a person in Geographical Channel who explains about eating coakroach to live in adverse conditions. Shaurya takes the audience along with his adventure when he climbs down from 35th to 30 th floor. It's amazing. His whole journey takes the audience through various emotions of valour, anger, helplessness, reluctancy, sick feeling etc. The philosophy behind TRAPPED is the inner strenghth one has to overcome struggles of life.